IT'S TIME TO REGISTER FOR SPRING BASEBALL!!! Registration is now open for our Spring 2019 season! If you’re ready to register, please click the register button below to take you into our registration system. For additional information please read below. For a short description of each division please click here to visit our Divisions page. If you have questions about CMNLL's divisions, please contact us. To be eligible to play at CMNLL, players must either reside OR attend school within our league’s boundary. To determine whether you reside within CMNLL's boundary, please click here to see a map of CMNLL's boundary. Adams, California, Killybrooke, Victoria, Pomona, Wilson, Whittier, Everett A. Rea, Christ Lutheran, Waldorf Academy, Page Academy, Carden Hall, Ensign Intermediate, and Tewinkle Middle School. If you reside outside our boundary but attend a school within our boundary, please complete the School Enrollment Form required by Little League, and after you've completed your registration. If you have questions regarding boundary eligibility please contact us. Boys and girls who are Little League Ages 4 to 12 years old are eligible to play at CMNLL. 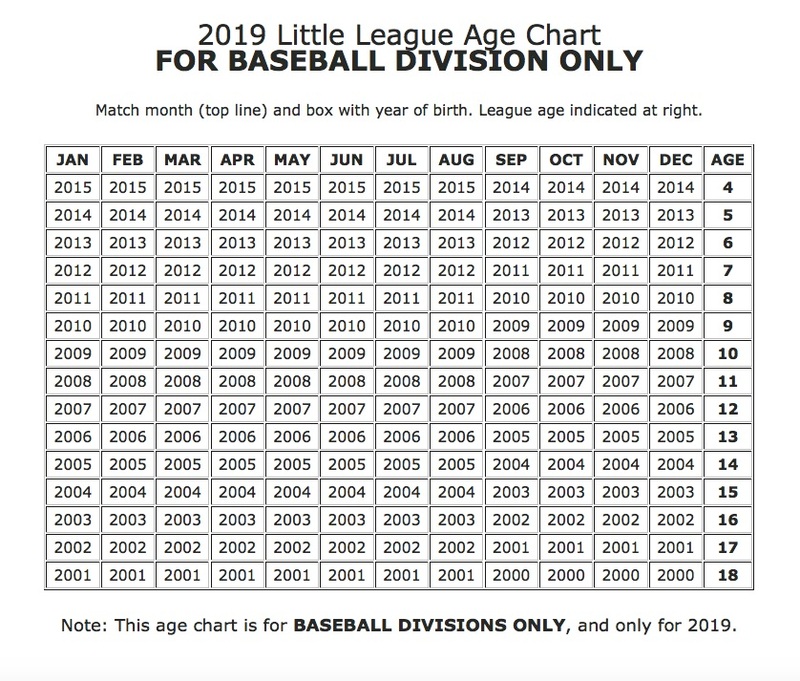 To determine your player's Little League Age (which may differ from your player's actual age), please use Little League's 2019 Little League Age Chart. Please note that this chart only applies to the 2019 season. CMNLL is proud to offer the lowest registration fees in District 62! Register early and take advantage of our early bird rate (shown below). 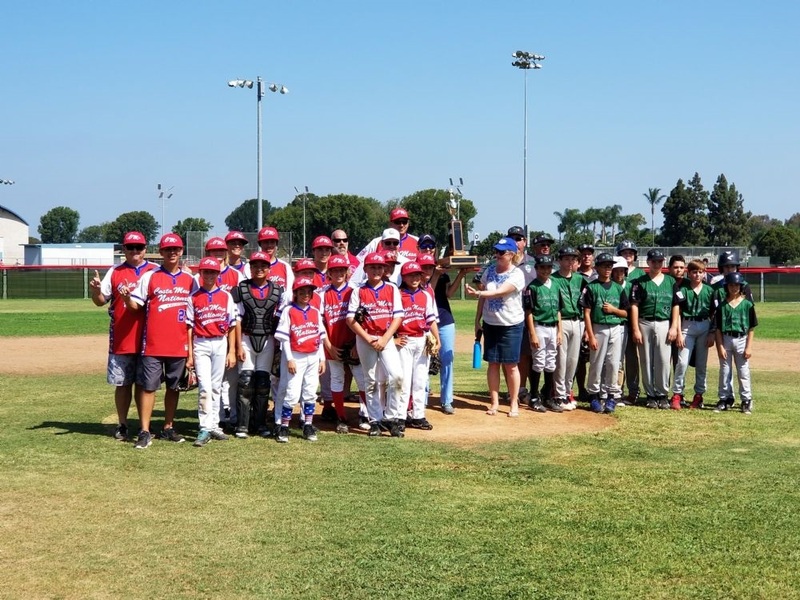 Costa Mesa National Little League will not deny any child the opportunity to play baseball due to an inability to pay. Teams will be announced at Cap Night on January 18th. You will receive an email with information on this event. T-Ball/Coach Pitch teams are formed by the Player Agent. Minor C and higher divisions are selected based on a draft. All players league age 9 and older must try out and are not guaranteed to play in any specific division level. The draft will determine where each player will ultimately play. Tryouts will take place on January 12th. You will receive an email from the Player Agent with your player's time slot. T-Ball/Coach Pitch players do not take part in a tryout or evaluation. Minor C players will take part in a player evaluation on January 13th. You will receive an email from the Player Agent with your player's time slot. Players who are league age 8 and wish to play at the Minor B level must also try out. League age 8 players who try out are not guaranteed participation in the Minor B division and if not selected in the draft will play in the Minor C division. Interested in Managing a Team? We are currently accepting applications for team managers in all divisions for the Spring 2019 season. If you’re interested in managing a team please to notify him of your interest.